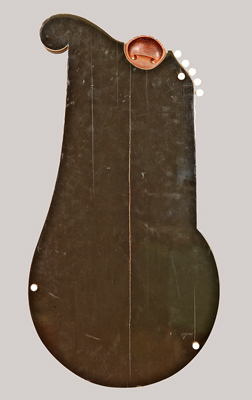 NMM 1271. 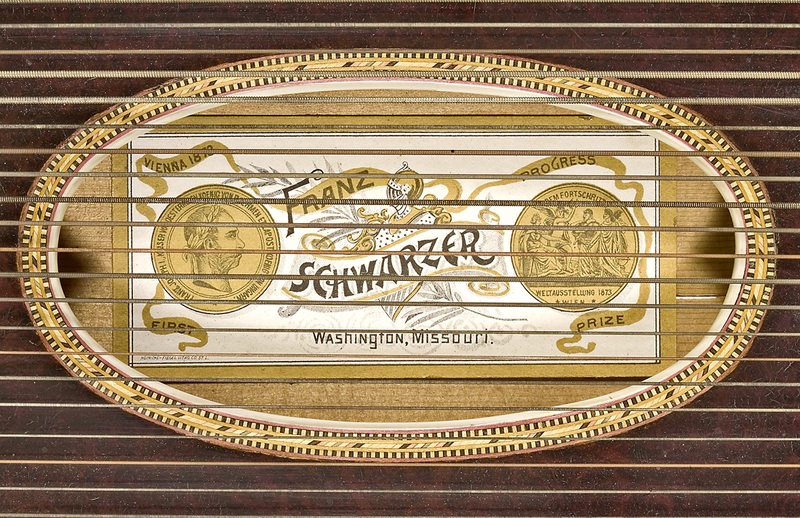 Alpine zither (concert zither) by Franz Schwarzer, Washington, Missouri, 1900. Special Arion Model No. 64. Serial number 7859. 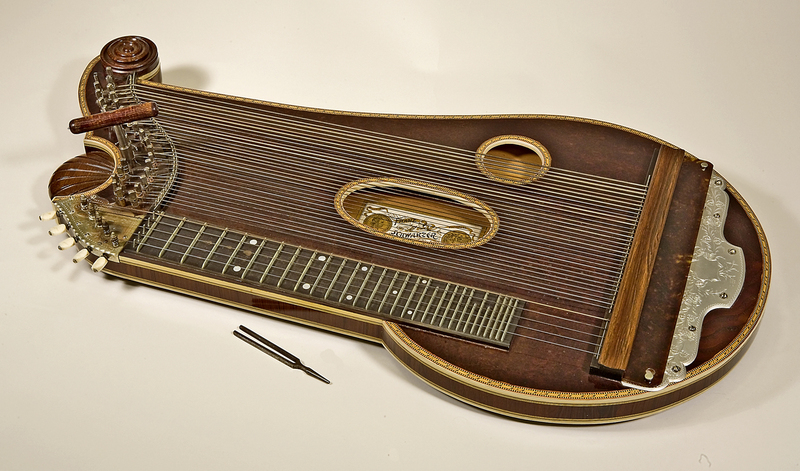 38 strings (5 melody, 33 accompaniment). 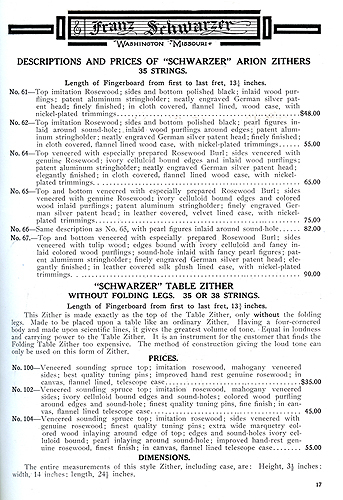 Originally sold to A. D. Barnhart, April 23, 1900. 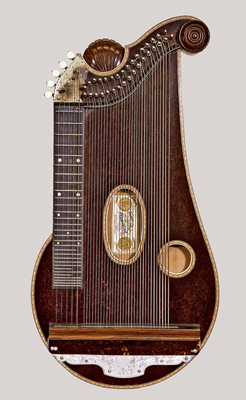 Played by Mrs. George P. Sexauer, Brookings, South Dakota, first half 20th century. Gift of Verna S. Lippert, Sioux Falls, South Dakota, 1977. 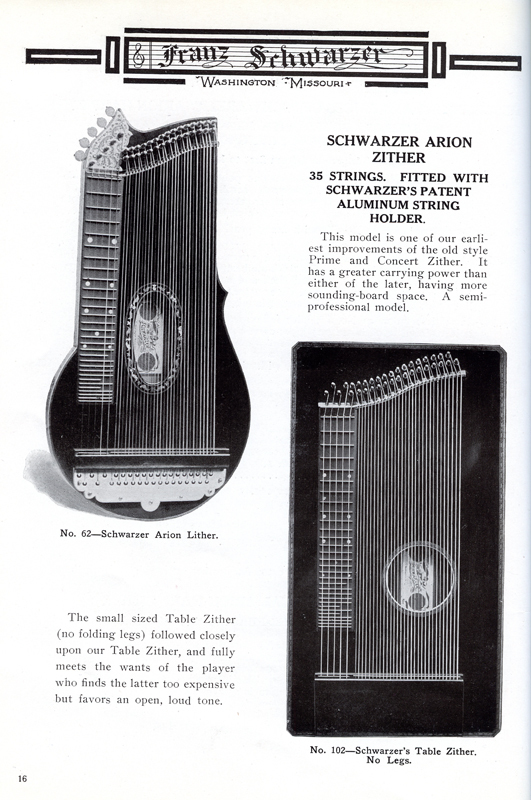 The NMM's custom-made zither differs from the Arion model no. 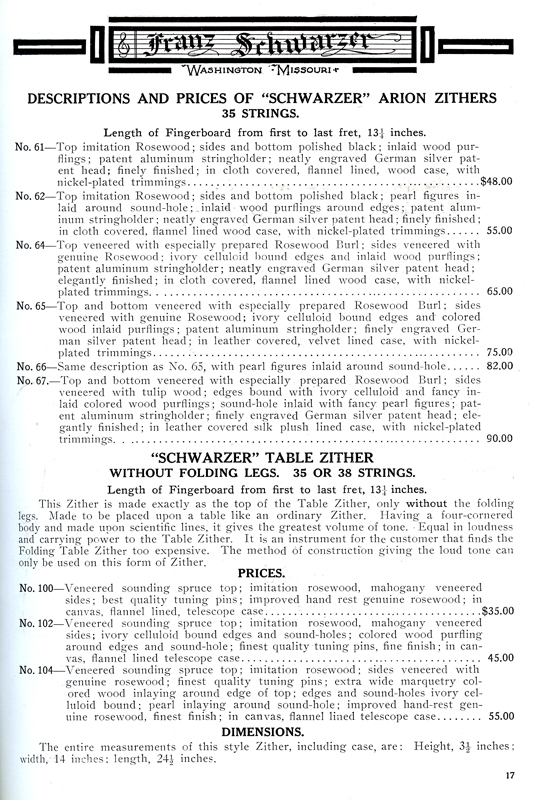 62 shown above and the Arion model 64 described above in Schwarzer's 1898 catalog. 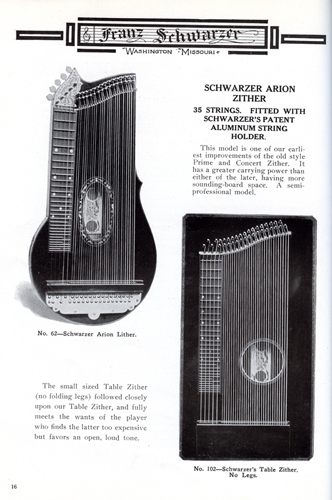 Listed in Schwarzer's factory records as a "Special Arion model 64," the NMM's example features a second soundhole, shell, scroll, and three additional strings. Date inscribed inside shell decoration: 4 - 30 - 00 [April 30, 1900]. 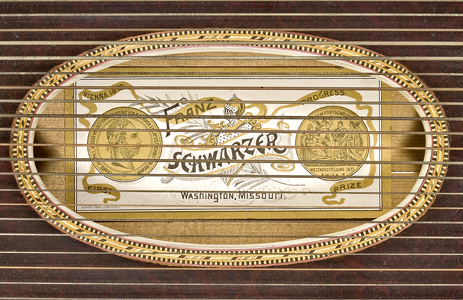 According to Schwarzer factory serial number records, this zither was sold on April 23, 1900. 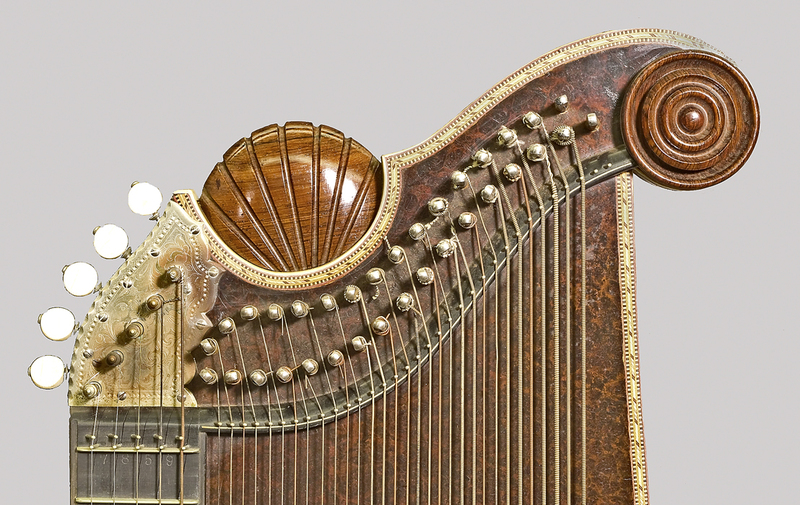 Literature: "Research Projects Continue," Shrine to Music Museum, Inc. Newsletter 10, No. 4 (July 1983), p. 4.